Stat of the day: 199. The number of public servants that are paid more than the Prime Minister. As the top dog in the land, you'd expect David Cameron to earn a salary to match. But it turns out that 199 public servants take home a heftier wage packet than the PM. 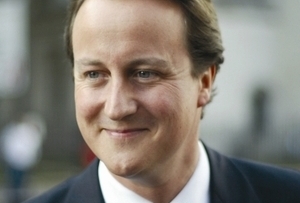 At last count, Cameron earns £142,500 per annum, a meagre sum when compared to other European Premiers. Nicolas Sarkozy, for example, snaffles $302,435 a year, while German Chancellor Angela Merkel takes home $303,800. So who are these super-salaried servants? Treasury minister Danny Alexander is keeping schtum. All he will say is that he's reduced the number of people topping the PM's wage significantly over the past year. 'I now personally sign off any new pay above £142,000, the equivalent of the Prime Minister,' he says. 'This is a vital deterrent to ever higher pay at the top of the public sector. I can and do reject them if I think they are too high.